NEW! 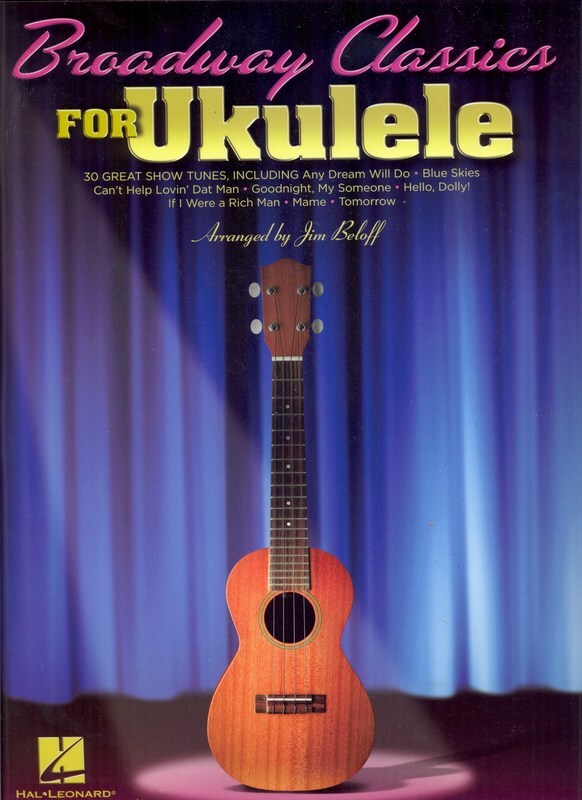 Jim Beloff arranges 30 well-known showtunes for the uke, including: Any Dream Will Do • Bewitched • Big Spender • Blue Skies • Cabaret • Consider Yourself • Easter Parade • Hello, Dolly! • Honey Bun • If I Were a Rich Man • Makin' Whoopee! • Mame • Matchmaker • Once in Love with Amy • Tomorrow • and more. For GCEA tuning. Notated melody with lyrics, chord symbols and uke chord diagrams. 80 pages.